#31. 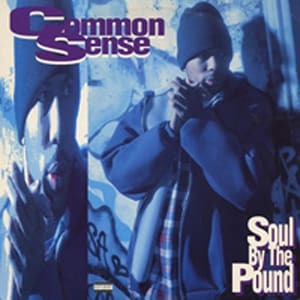 Common Sense "Soul by the Pound"
After Common was featured in The Source's "Unsigned Hype" column, Relativity Records quickly snatched up the budding Chicago talent and released his debut album, Can I Borrow a Dollar? Over production from childhood friends Immenslope (later known as No ID) and Twilite Tone, Com's early style was much more sing-songy and (ahem) "high-pitched" than what we hear nowadays. This joint in particular was a fun record, chock-full of punchlines and pop-culture references.